Hello gentle readers, and welcome to the SwitchArcade Round-Up for April 10th, 2019. 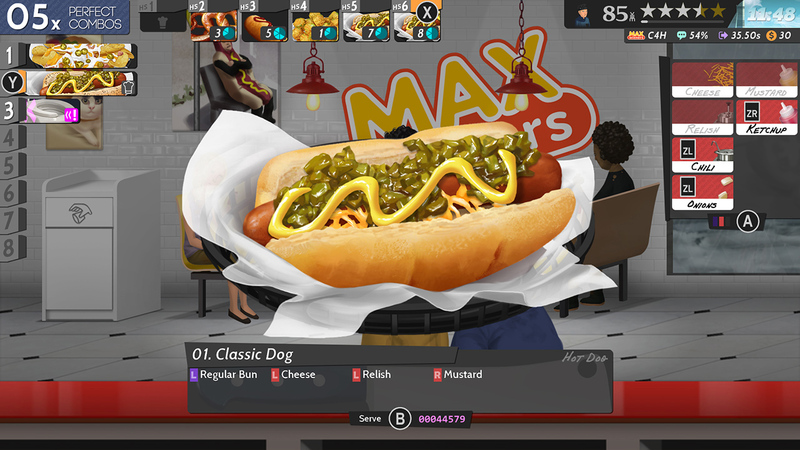 Today we’ve got two reviews for your consideration: Cook, Serve, Delicious! 2!! and Godly Corp. Which is worth buying? Both? Neither? How delightfully suspenseful, no? Ha ha. We’ve also got summaries of today’s new releases, a couple of zesty news items, and a not-so-huge list of sales for you to check out. Let’s get into it! Well, as it says in the headline, the latest batch of releases is now available in the Nintendo Switch Online app. Just update it and you’ll have access to Punch-Out!, Star Soldier, and Super Mario Bros.: The Lost Levels. You’ll also see a new SP version of a previous release. Kid Icarus SP drops you right into the final stage with all three sacred treasures in tow. Can Icarus fight Medusa’s angels? Maybe with this SP version. Let’s keep it clean and come out fighting! Being an adult means knowing the difference between a good joke and a lame one and going for the lame one every time. In that respect, Nintendo has done very well this week. 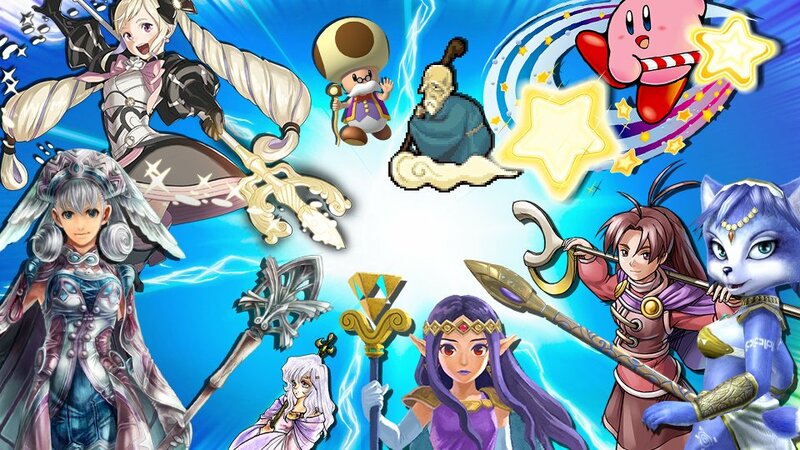 The latest Spirit Board event is called The Right Staff and it focuses on characters who wield staves and wands. Spirits that fit that description will appear more frequently during the event, and beating them will earn you extra Spirit Points. As usual, the event will kick off on Friday and run through the weekend, so you’ll have to choose between this and Tetris 99. As someone who is exceptionally bad at managing time, I may not be the best choice to properly enjoy a rather difficult example of the time management genre. On the other hand, I do like food. So I don’t know, maybe it’ll work out. 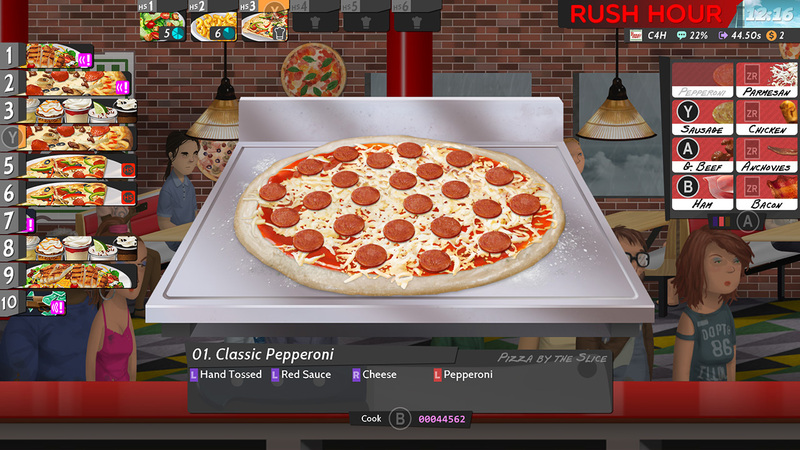 The game in question is Cook, Serve, Delicious! 2! 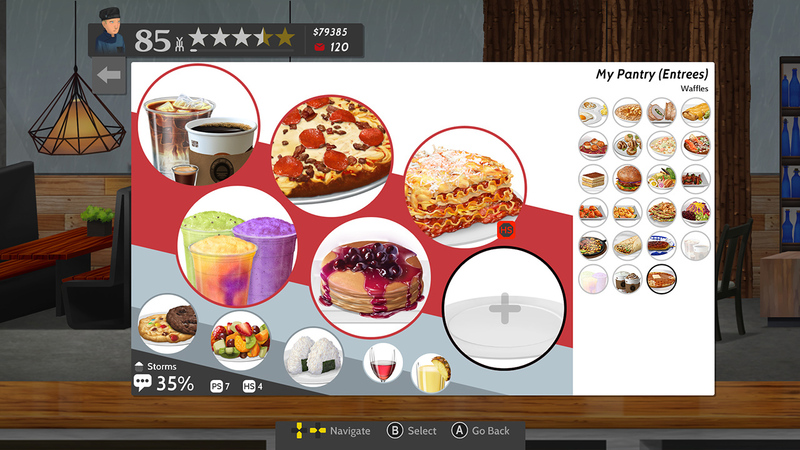 !, the Switch debut of the popular restaurant management sim series. This is a rock-solid port of a very good game, and it suits both handheld play and TV play equally well. Ah geez, I just spoiled the whole review. Yes, it’s good. If you enjoy this series, like time management games, or can appreciate the subtle beauty of trying to keep several plates spinning at once, you can’t go wrong here. Anyway, the story is the same as the first one, more or less. Except here you ostensibly start with your cool restaurant you finished building at the end of the first game, only to lose it all and be forced to start from scratch again with yet another hole in the wall. But worry not, friends. Through hard work and nimble fingers, you will soon be the almighty restaurant ruler of the universe once more. And by soon, I mean like 40 hours later, because this game is absolutely massive. 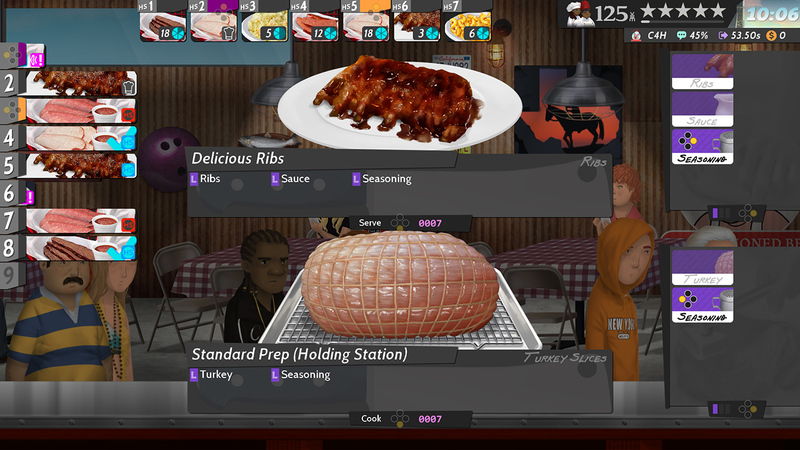 There are 400 missions to clear across 33 different restaurants, and you’ll have to cook up a boggling large variety of foods along the way. If you’ve played a time management game before, you’ll be familiar with the basics here. Customers come in and make a request, and a timer starts ticking down. You have to prepare their special order and serve it to them before they lose patience. As preparing the dish takes time, you can pick up and manage multiple orders so that everyone will leave happy. You can prepare certain things ahead of time and keep them in holding areas, allowing you to quickly serve customers, but your holding areas are limited so you’ll have to gauge demand accurately if you want to make the most of them. Some orders have a lot of different options, and you’ll have to make use of some slightly clunky combinations of buttons to page through lists. The clock keeps ticking and the customers keep coming, but if you serve enough of them in a satisfying enough way, you’ll clear the mission and collect your rewards. While you’re doing all of that cooking, you’ll also need to keep the restaurant clean by performing various other tasks. There’s always something to keep you busy in this game, so don’t count on getting even a moment’s rest once the customers start spilling in. It’s admittedly tough to keep on top of things using a regular controller. I’d imagine this worked a bit better on PC. But you know, you can still learn to manage it all. And if you just play the Chef Request missions, that’s all you’ll need to manage. You get called to a restaurant with a set menu and just do your best to survive. The other side of the game has you managing your own restaurant, and this involves a bit more work. You have to choose your menu, and you can also pick how you want to decorate your restaurant. You need to carefully consider things in order to create the best customer experience. From a technical point of view, this is a good version of the game. It runs well docked or undocked, and the food looks absolutely delicious. Loading times aren’t too bad, either. There’s even a drop-in/drop-out local co-op mode so that you can play with a friend or family member. The only real problem with the port is that a controller just can’t handle this game as well as a keyboard and mouse can. As for the game itself, as long as you aren’t opposed to time management games, I think you’ll find Cook, Serve, Delicious! 2!! to be quite the treat. It offers an absolute treasure trove of content and manages to mix things up nicely in a genre that is often prone to repetition. The only caveat is that the game can get pretty hard, and that’s only partly intentional. But stick with it long enough to learn how to grapple with its complex controls and I suspect you’ll be quite pleased with this hearty meal. 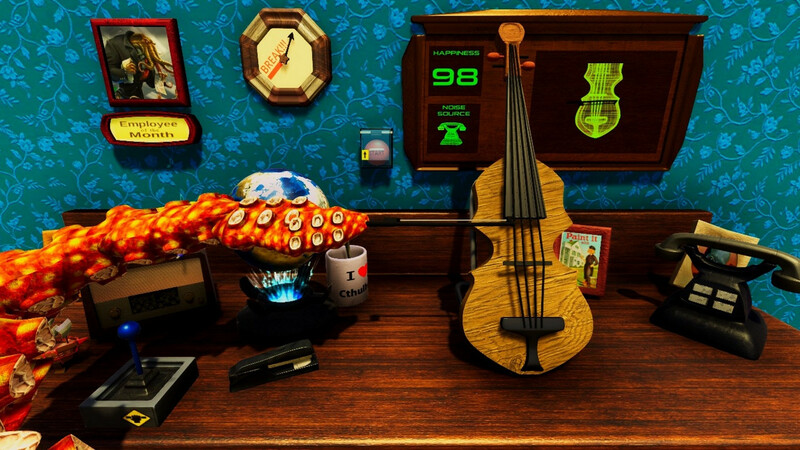 Video games have always been a strange union between carnival money-traps, art, narratives, and toys. 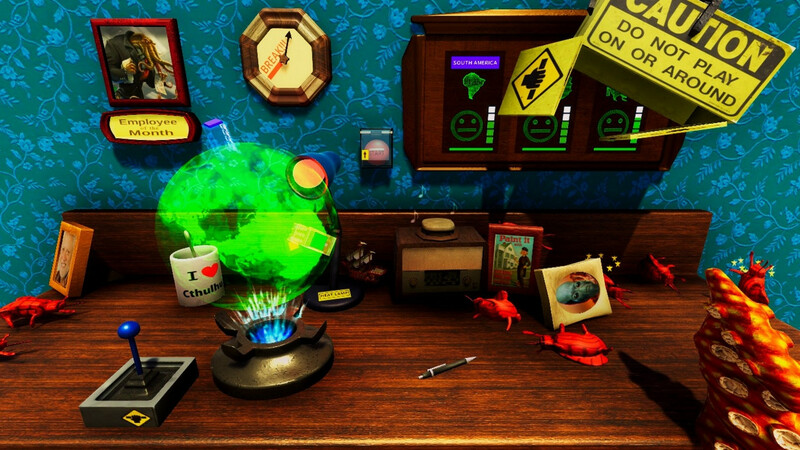 I believe that toy aspect is at its most apparent in the “weird physics" games that have gained so much popularity since Garry’s Mod launched all those years ago. Taken by most traditional critical metrics for video games, things like Goat Simulator and Surgeon Simulator are completely dreadful. And yet, it’s hard not to have a good time, at least for a little while, poking at things and getting wild results. 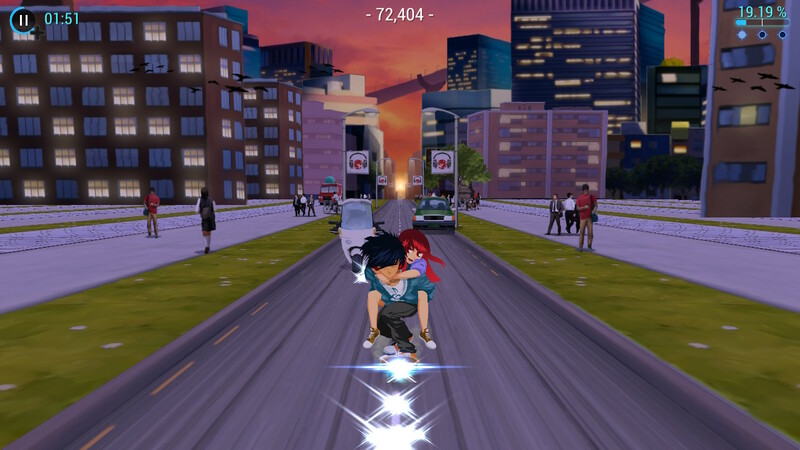 Godly Corp tries to pull in more typical gaming conventions to flavor its goofy physics fun, but I’m not sure the results are all that enjoyable. Adding to the problem is that this Switch version has some major technical issues. Godly Corp at least nails its premise. 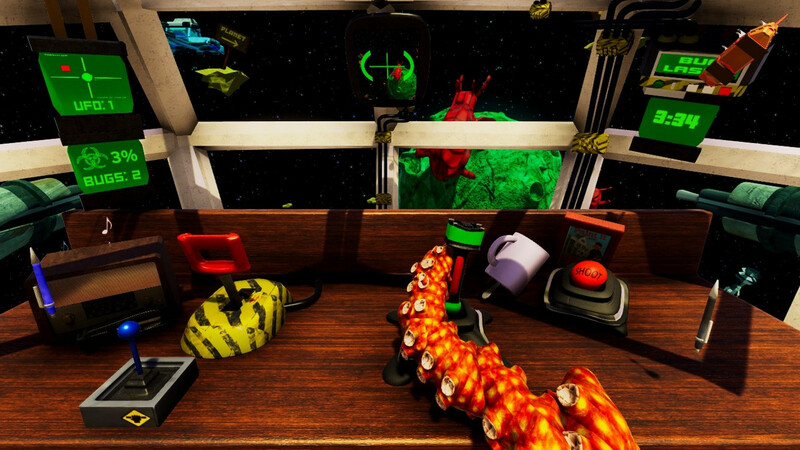 You play as tentacled creature (something very much like Cthulhu, it seems) as it takes a desk job working at Godly Corp. You won’t be doing anything so mundane as filling out Excel spreadsheets, however. Your job has great consequences for the worlds put in your care. Each day presents a different set-up, and you need to do your job diligently. Unfortunately, your main means of interacting with the things in front of you is a big, awkward tentacle. Sweeping things around is easy. Pushing things and flipping objects upward, not so tough. Fine movements? Well, that’s a different ball of wax. Each task has a timer, and the main challenge comes from trying to complete your task in the allotted time under some very awkward controls. It’s good for a laugh at first and I do appreciate that the developer tried to put a wide variety of objectives in here. One day it’s like an awkward rhythm game, while the next it may be an awkward shooter. There are three difficulty levels and they are pretty much as advertised. The controls work more or less as they should in something like this, I suppose. They don’t feel good, but I don’t think they’re really supposed to. Like many games of this sort, Godly Corp often feels cheap, half-finished, and all around rough. Some of this is likely intentional because, hey, that’s how these things work. Some of it, like the lengthy loading times that make you wonder if the game has crashed, is probably not intentional. The crashes and weird game-stopping bugs are almost certainly not by design. And then sometimes, you lose without it really being clear why. Bug? Feature? I have no idea. At any rate, it can be tough to review a game like this because it’s hard to sort out what is broken on purpose and what is just, you know, broken-broken. I would say that if you’ve played and enjoyed stuff like Surgeon Simulator, you’ll probably be okay with this game at its core. The technical issues could potentially be fixed in the long run, but be aware that in its present state, this game does have a lot of lengthy loads where it feels like it has frozen. And there are certainly some bugs. Which ones are deliberate will only be revealed through further updates, I suppose. It’s a bit hard to recommend God Corps in its current state, to be honest, but if all you’re looking for is some silliness to laugh at and don’t care too much about the mechanical bits attached to it, you might want to think about taking this job. This game has a very simple premise, but I’ll be darned if it doesn’t work very well. 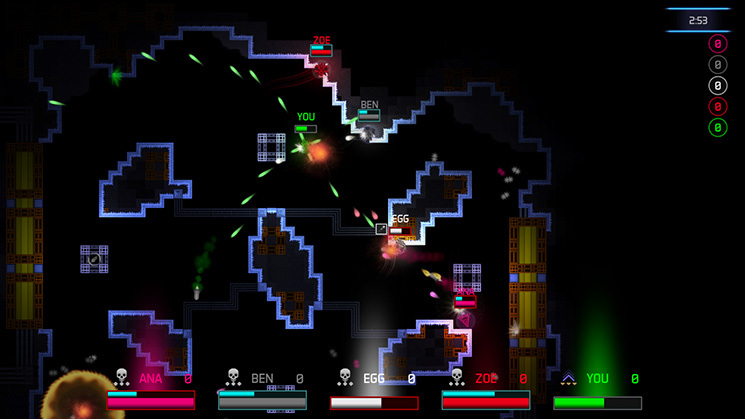 Basically, this is a horizontal shoot-em-up, but with one major twist: you only play with a single button. Naturally, that button shoots. But it also changes your direction from left to right or vice-versa. You have to keep shooting to position yourself properly and avoid running into something that will kill you, but you also need to pay attention to the enemies themselves, of course. You’ll die early and often, but something about it is very compelling nonetheless. 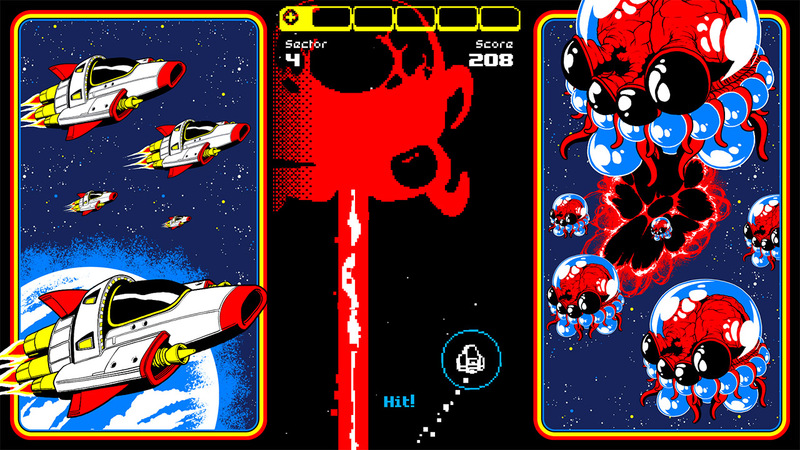 Oh, and you can unlock a whole ton of color palettes, giving you some sort of meta-goal beyond score attacking. I like it, and I think it’s priced just where it needs to be. There are tons of cooking games out there, and mobile fans in particular will have a great deal of familiarity with the, um, less than stellar quality of many of them. But in this genre, the gold standard is Cook, Serve, Delicious!, an homage to a PlayStation game that it ended up surpassing. This sequel plays out similarly to the first in its basic structure. You have to build up a restaurant from a veritable hole in the wall by cooking and serving a wide variety of dishes, keeping the restaurant clean, and being quick about all of it. Along the way you’ll earn decorations and improvements to your restaurant and kitchen, and slowly make your way up in the restaurant world. It’s a tough game, and it’s literally dozens of hours long, but if you like games that make you feel like you’re juggling ten or so plates at a time, you’ll absolutely love this. Phew, don’t spend too much time looking at those new sales, friends. Well, if it was going to be that short of a list, at least it’s a good one? 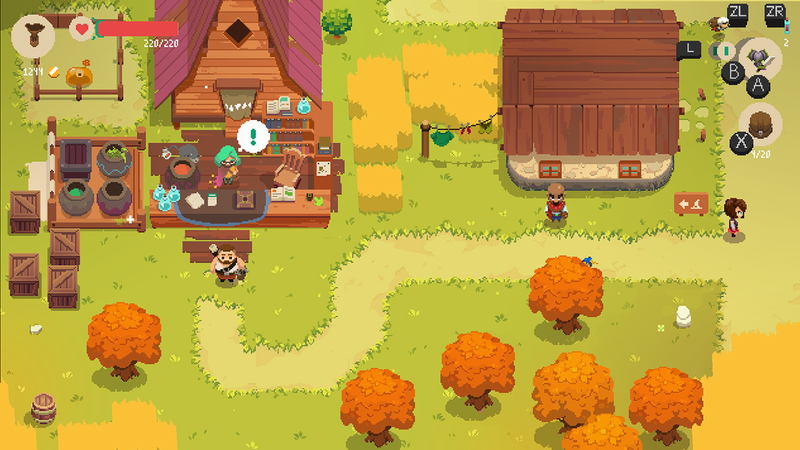 Moonlighter is a pretty spiffy game, and that’s a pretty solid discount on it. Definitely worth considering if you like action-adventure games. You may also want to check through the list of outgoing sales, as it’s rather large. Most of it will likely be back on sale soon, but a few things on there could go a while without another discount. But I feel like another big sale is right around the corner, so you may want to hold off and see what comes. Decisions, decisions. That’ll do it for today. We’ll be back tomorrow with another fine edition of the SwitchArcade Round-Up, delivering summaries of each and every new release, some interesting news nuggets, and hopefully a good list of new sales for you to check out. We’ve got some big releases this week, friends, so don’t you dare miss out. I’ll see you tomorrow, and as always, thanks for reading!